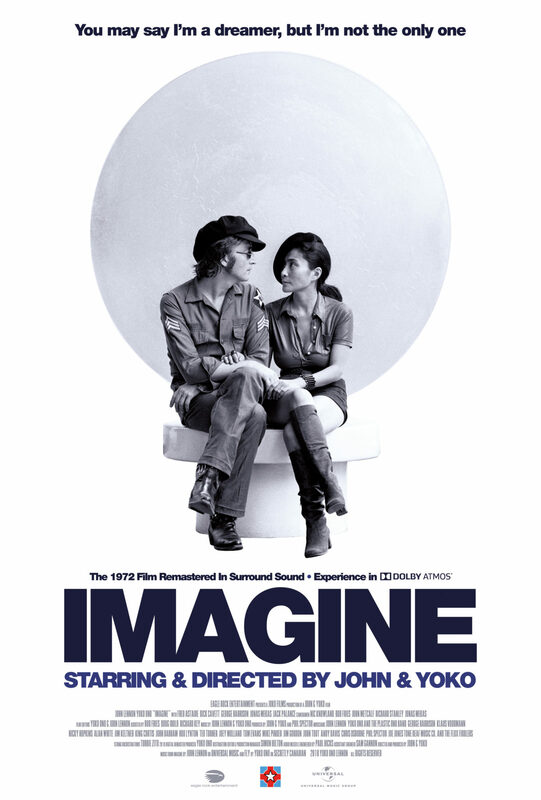 John Lennon ‘Imagine’ – Film, Audio and DVD/BluRay On The Way? 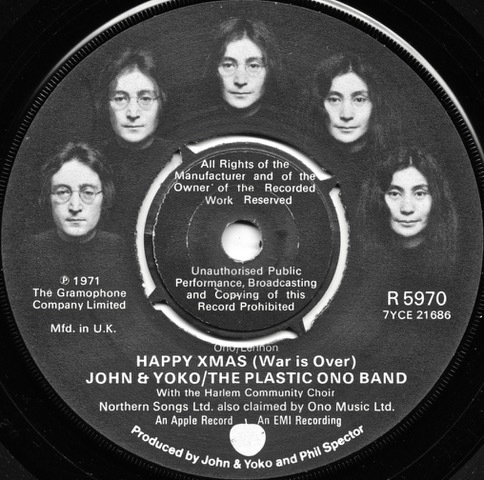 Speculation and rumours that there would be a number of additional elements accompanying the forthcoming Imagine John Yoko book (due on October 9) has had an on again/off again nature over the last few days. 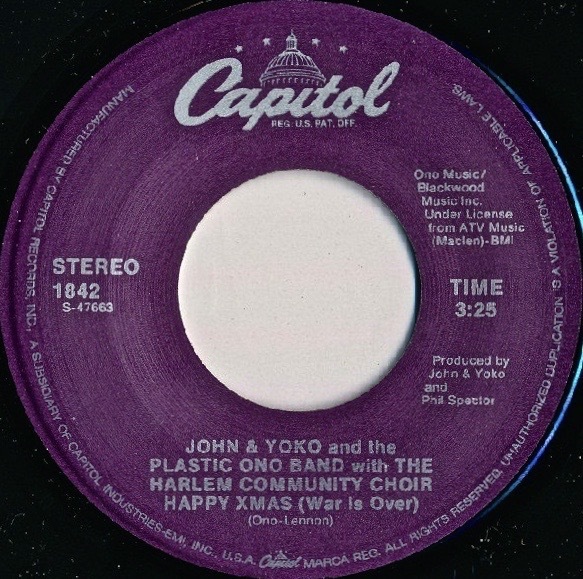 Officially, all we know is that the book is happening, as is a cinema release of the John Lennon and Yoko Ono film Imagine, announced this week: This is the 1972 film with each of the songs from Imagine portrayed (plus four songs from the Ono LP FLY, recorded at the same time) in between glimpses into the lives of John and Yoko, plus some fun sequences featuring the pair and a host of celebrity mates. It looks like it’s the original 70 minute cut of the film, plus an additional 15 minutes or so of bonus material. If you’d like to go along and see the movie on the big screen there’s a special site set up find out where it is on near you and you can book tickets. Screenings start from September 17. 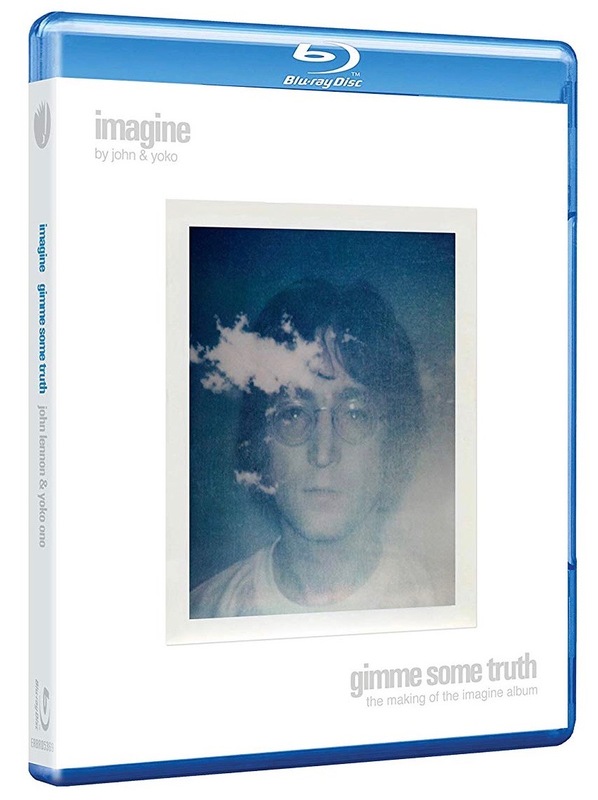 We also now know that there will be definitely be a DVD and Blu-ray release of the 1972 Imagine film, coupled on the one disc with Gimme Some Truth – The Making of John Lennon’s ‘Imagine’ Album which dates from 2000 and is directed by Andrew Solt: Gimme Some Truth is a surprisingly good examination of the recording process, a fly-on-the-wall window on Lennon in the studio creating the Imagine album that stands the test of time. The DVD and Blu-ray will be available from October 5, and Amazon is taking pre-orders now. There will be bonus material included, but it has not yet been revealed just what this will be. These two films will be great to have in remixed sound, 5.1 mixes (if that is your thing), and fully restored visual content. 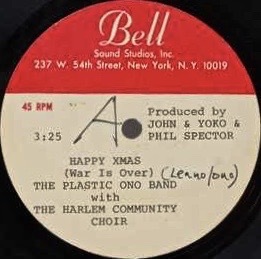 And that leads us to what hasn’t been announced yet regarding the last piece in the puzzle: the audio from the Imagine sessions. 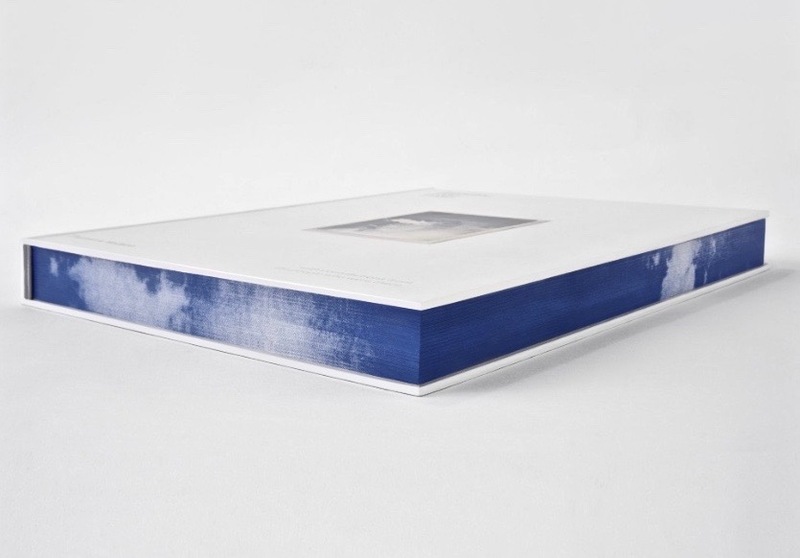 There’s been lots of talk about a super deluxe box set; a single CD; a double CD; and a double LP (with a limited edition in clear vinyl for collectors too). 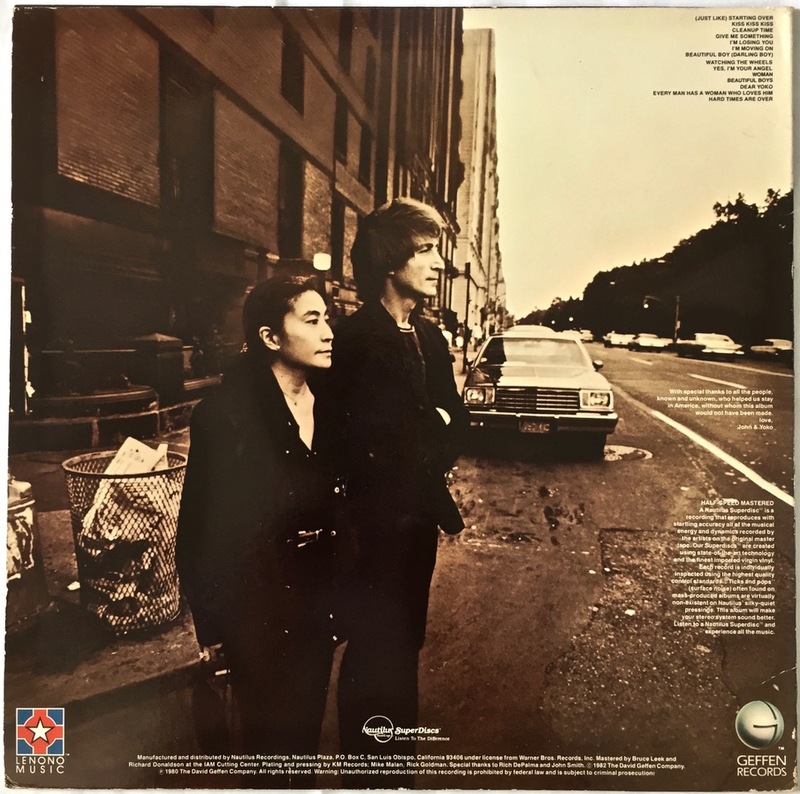 Depending on who you believe this is about to be officially announced (like in the next few days, with an October 9 release date), or this part of the Imagine re-issue project has been delayed and we won’t see it until at least February, 2019. 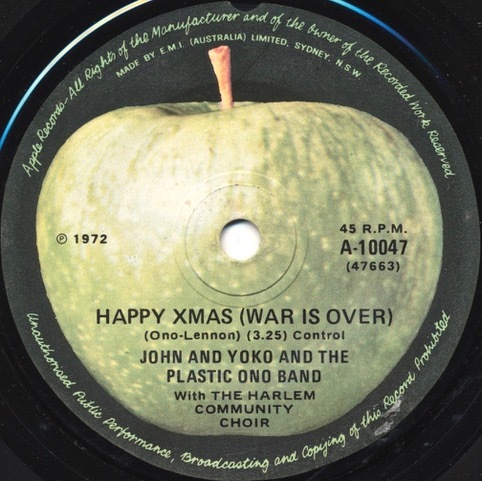 (This courtesy of Lennon producer, Jack Douglas, who apparently stated at the Chicago Fest for Beatles last weekend that the project had been shelved to February next year). Until something official comes out it all remains speculation, but the big box set (which will be audio only) will likely contain four CDs, plus two Blu-rays of material. On these will be some 140 tracks – which is HUGE! That’s just for one CD. Those two Blu-rays alone will contain a massive amount of additional audio and this release (if it comes about) will set a precedent for the Apple/Universal box set re-issue approach so far. 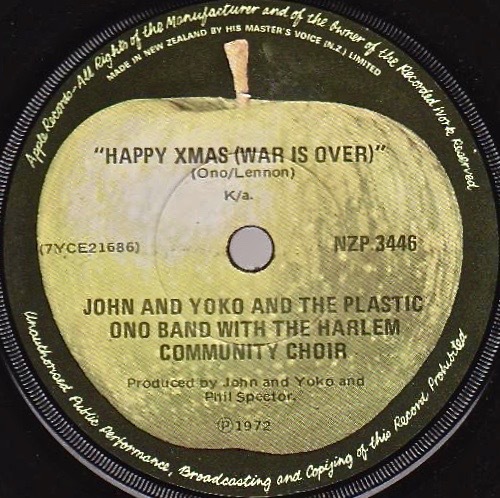 There will be raw studio mixes; “elements” mixes with instruments and voices separated out; documentary content about the evolution of the songs; plus interview material from the time of Imagine with John and Yoko included. To date the breadth of material planned for release is unprecedented. 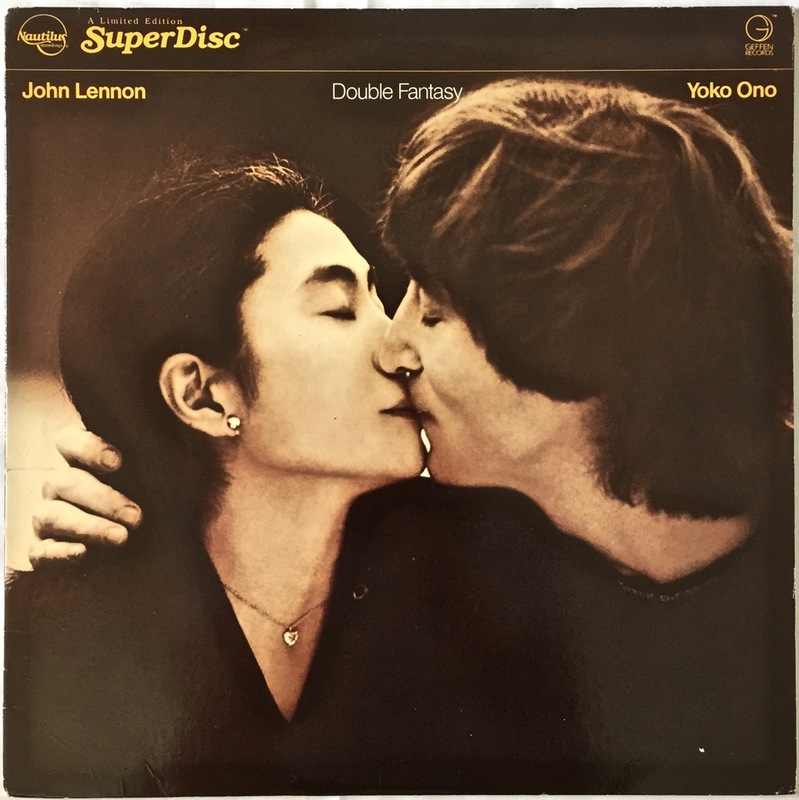 The promotional music site Ultimate Classic Rock jumped the gun today and published an article called “John Lennon’s Imagine Album Explored in a Six-Disc Box Set“. As you can see if you click through, they’ve subsequently taken that story down, possibly with a big rap across the knuckles form Apple/Universal…. We reckon this big release program WILL happen. It’s just a matter of when. 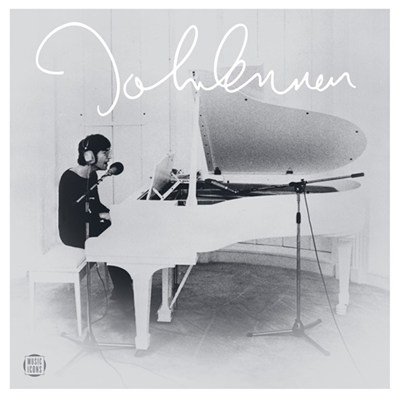 UPDATE: The official Lennon site has now uploaded a teaser Imagine the Music page and a video (a beautiful short extract of just the isolated vocals from ‘Oh My Love’). Looks like we’ll know exactly what is on offer on August 23, when The Ultimate Deep Listening Experience will be officially announced. 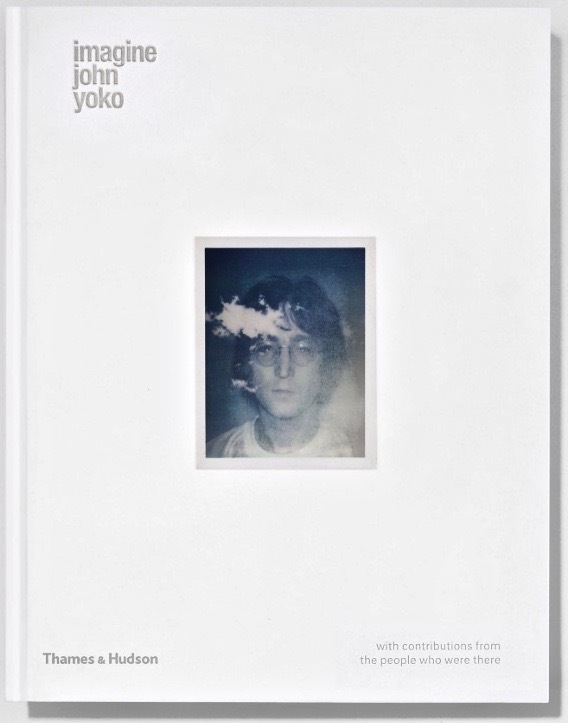 With a press release and first photos issued earlier this week giving details of a new book about the making of John Lennon’s 1971 LP Imagine – plus a social media marketing blitz for the book getting under way yesterday (coordinated Tweets from @yokoono; @johnlennon; and the publishers @thamesandhudson and @GrandCentralPub, not to mention Facebook) – the rumour mill is ripe with talk that the book will also be accompanied by a significant re-issue of the recording. 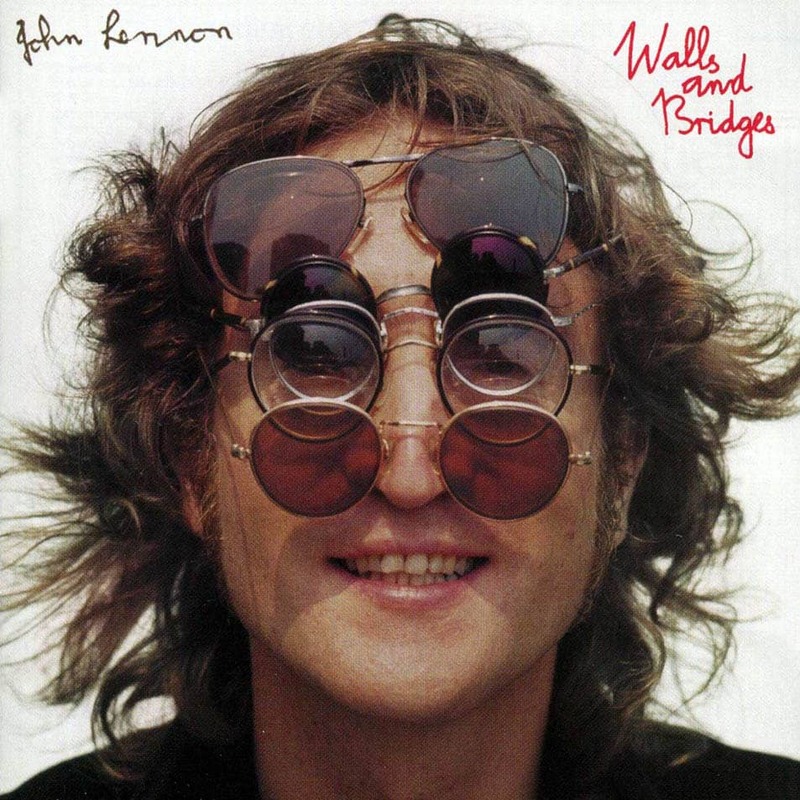 Imagine will be published in the USA by Grand Central Publishing, and the UK by Thames and Hudson. Have to say – the book looks impressive and will no doubt conatin some real treasures, both in information and photographs…. 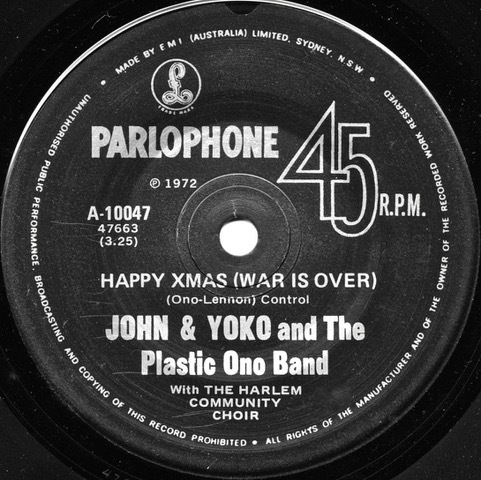 So, what about a re-mixed Imagine CD, vinyl, or deluxe box set to accompany it? Some weeks back The Beatles Daily blog had this, quoting former Beatle aide and insider Tony Bramwell that a “song and dance” version of the album was in the works, while on the popular Steve Hoffman Music Forums they are talking about a new remix, possible DVD and Blu-Ray, and maybe a box set to be bundled with the book….. So far it is all speculation. If there’s something in the works expect an offical announcement soon I guess. 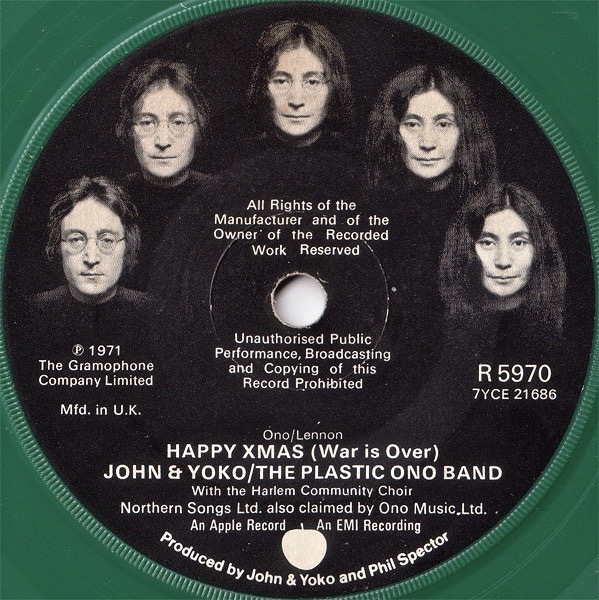 If there is to be a major re-issue later this year (and it’s looking very likely that there will), it’ll become the very first release to carry that new co-writer song credit for the song ‘Imagine”. 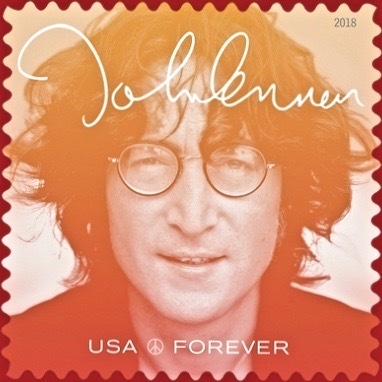 The US Postal Service recently issued a little bit more information on the John Lennon Forever stamp, part of its Music Icons commemorative series. The stamp will be issued on September 7 in New York City, and with more details of the design being made public there’s been a bit of a surprise twist: there will be not one, but four different stamps in this issue. 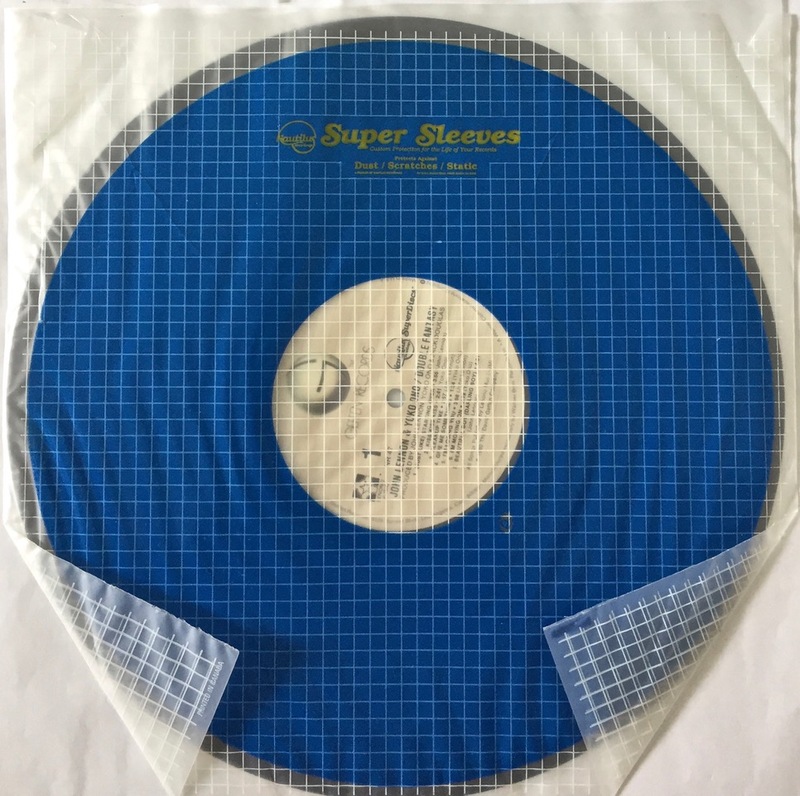 As you can see above, because the stamp will be issued in a pane of 16 (with the stamp pane made to look like the sleeve of a 7″ record – which is kind of cool), the stamps in each row are to be treated in different gradient colors, creating four different varieties. The colors on the stamps in the first row change from light orange to red; the second row changes from red to light purple; the third row is light purple to dark purple; and the fourth is dark purple to blue. 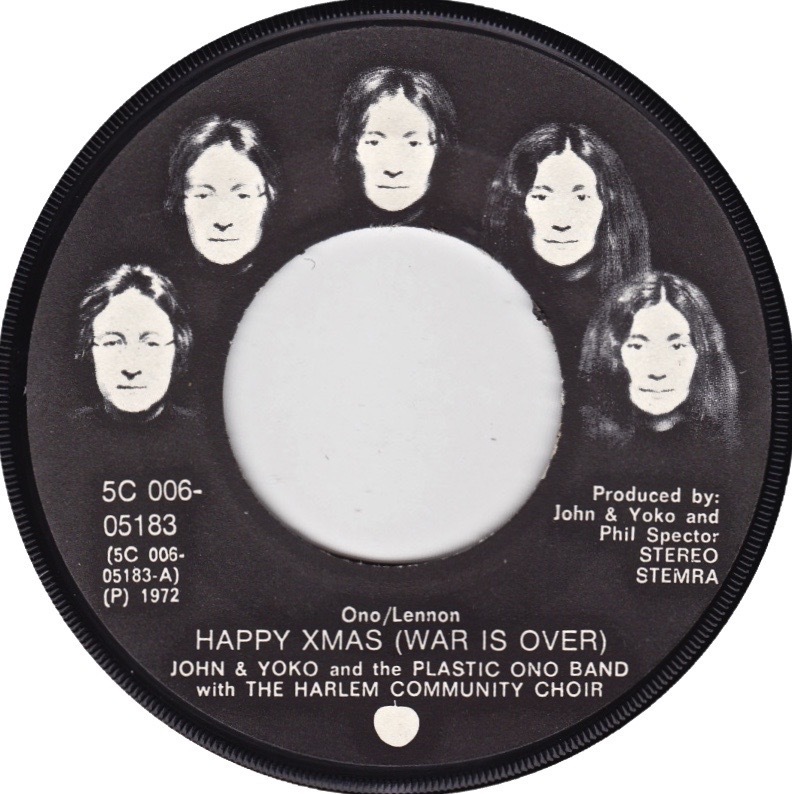 The image on the reverse of the pane is the black-and-white photograph taken by Peter Fordham at about the time of the Imagine album release in 1971. 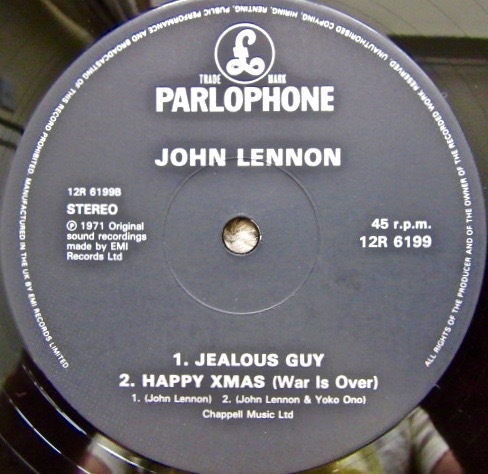 It is of Lennon at his white piano. 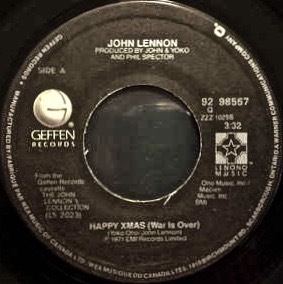 His signature is in white above, and there’s a Music Icons logo bottom left. 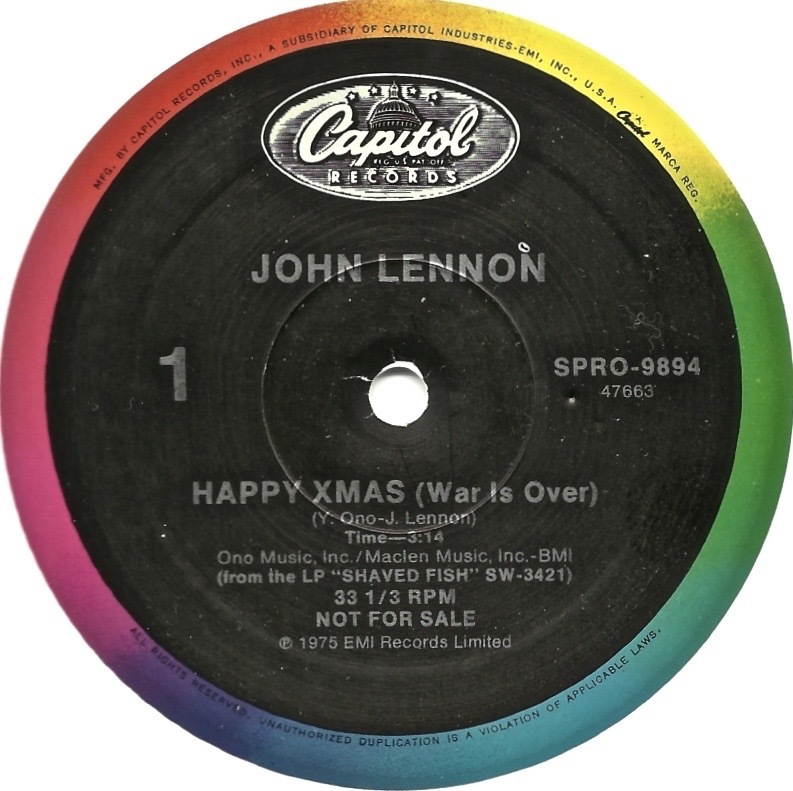 The John Lennon stamp was designed by Neal Ashby and Antonio Alcala was the art director. The US Postal Service press release is here. Every couple of months the Lifeline organisation (which offers a free phone crisis and suicide prevention counselling service in Australia) holds a huge fundraising book fair. 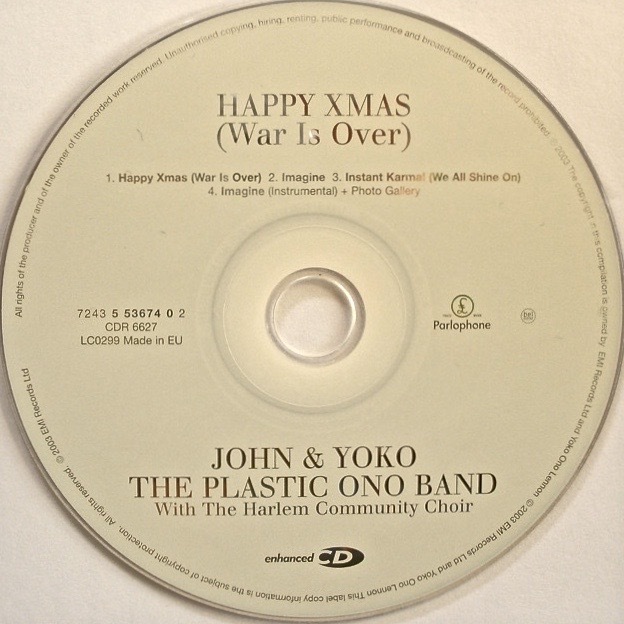 They always have, as a side note, lots of second-hand CDs, and usually a few records too. 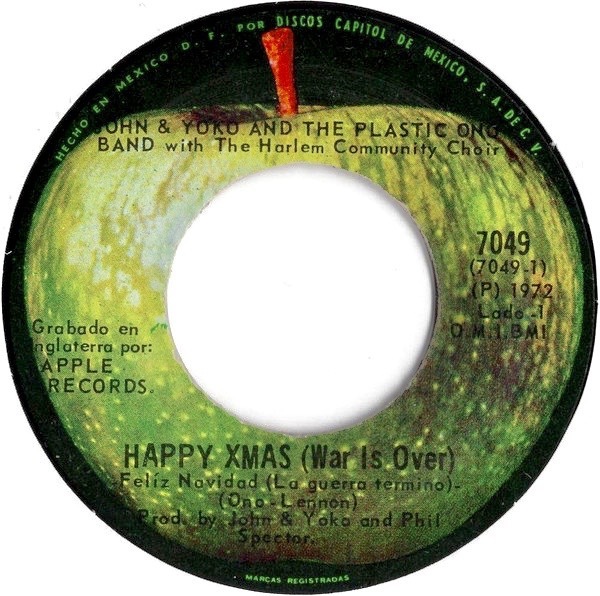 These are usually placed in one corner and any Beatle titles would be scattered in amongst hundreds of other artists. However, the Lifeline book fair last month had its very own Beatles section! 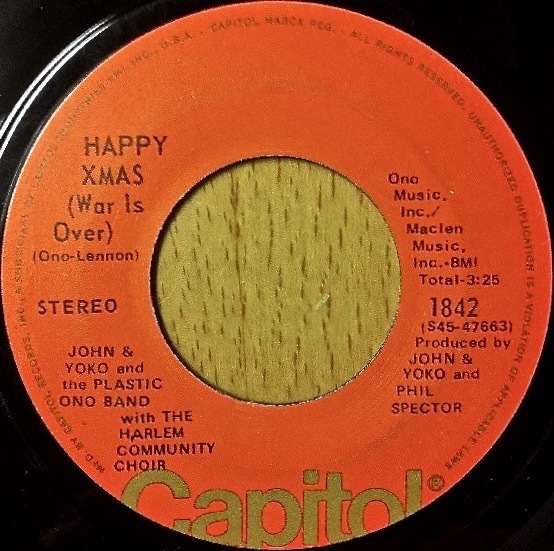 Obviously someone had donated a large collection and the volunteers had hived off a dedicated section of the tables just for Beatle stuff. 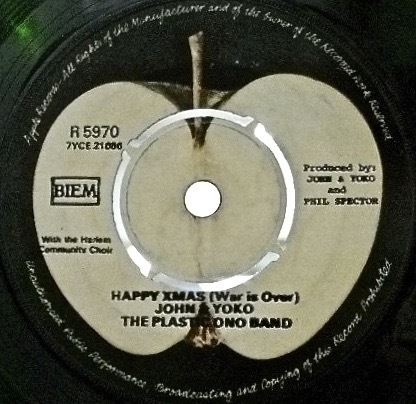 There were books, a small selection of LPs and CDs, plus a very large stack of 45 singles. 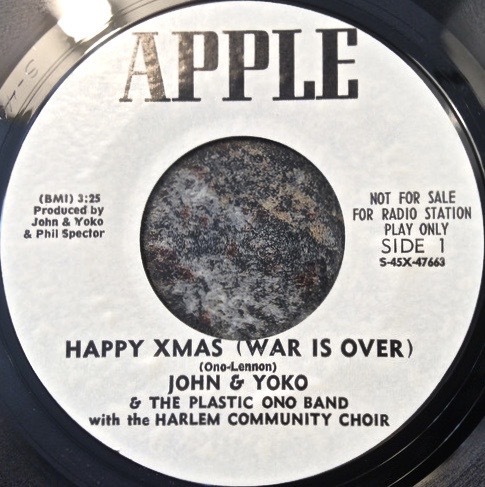 By the time we got through the door though another collector was well into sifting through the 45’s and so we had to wait patiently by for him to finish. Sadly (for us) he took just about all of them, and we were left to pick over the remains. 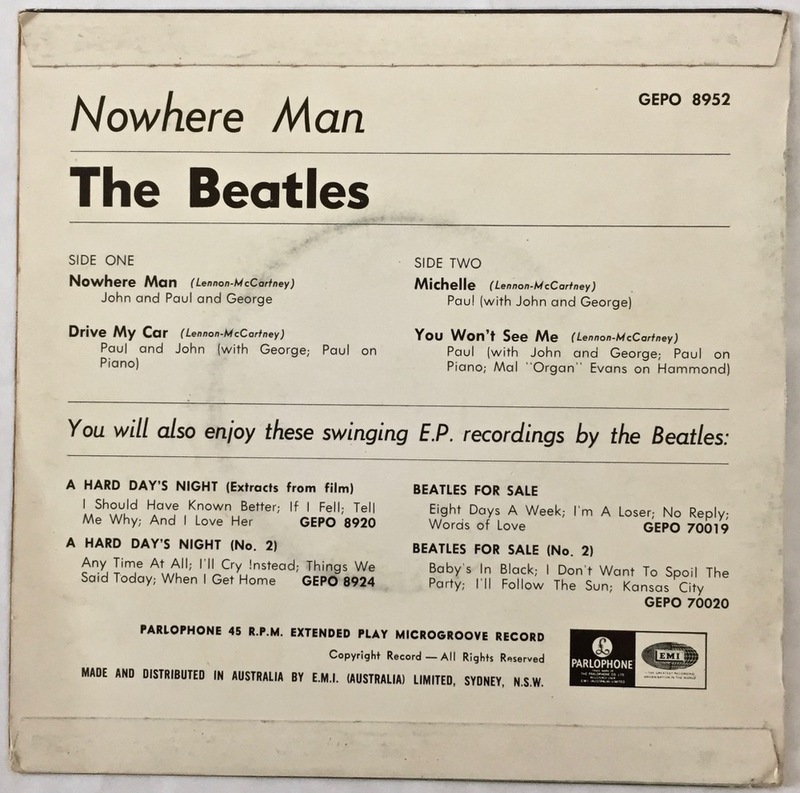 Much to our delight though we discovered a very clean copy of a Beatle EP that had been missing from the collection – one that is now considered rare and fetches hefty prices on eBay. 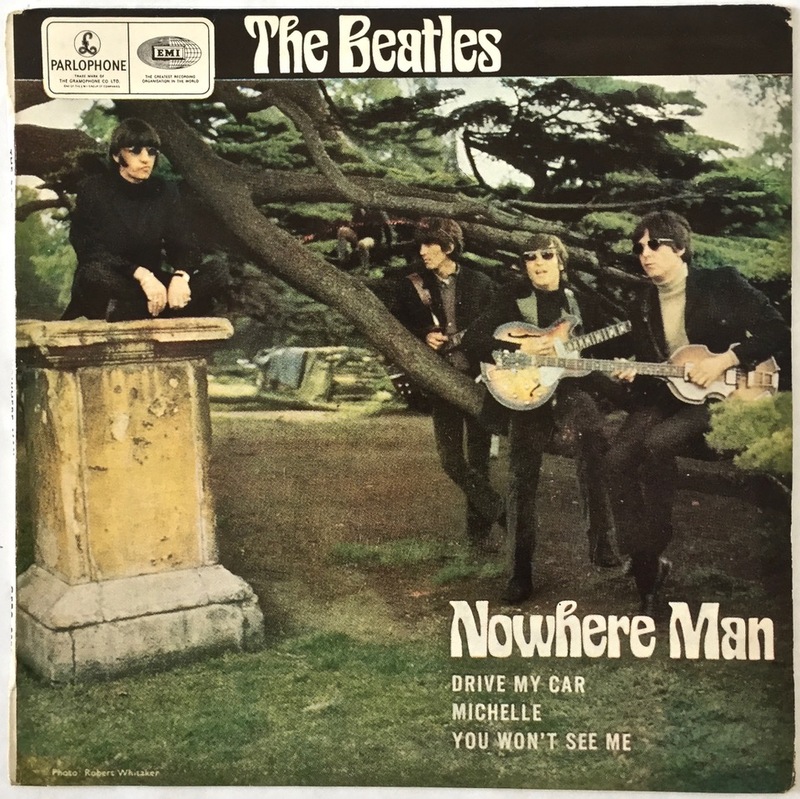 It’s the Australian pressing of the band’s Nowhere Man EP, released on November 3, 1966: This one has the flipback tabs on the rear cover, and the early black and yellow Parlophone label with the Northern Songs royalty stamps included: We’d been looking for a copy of this EP for ages, so to find a copy in good condition was a real bonus. 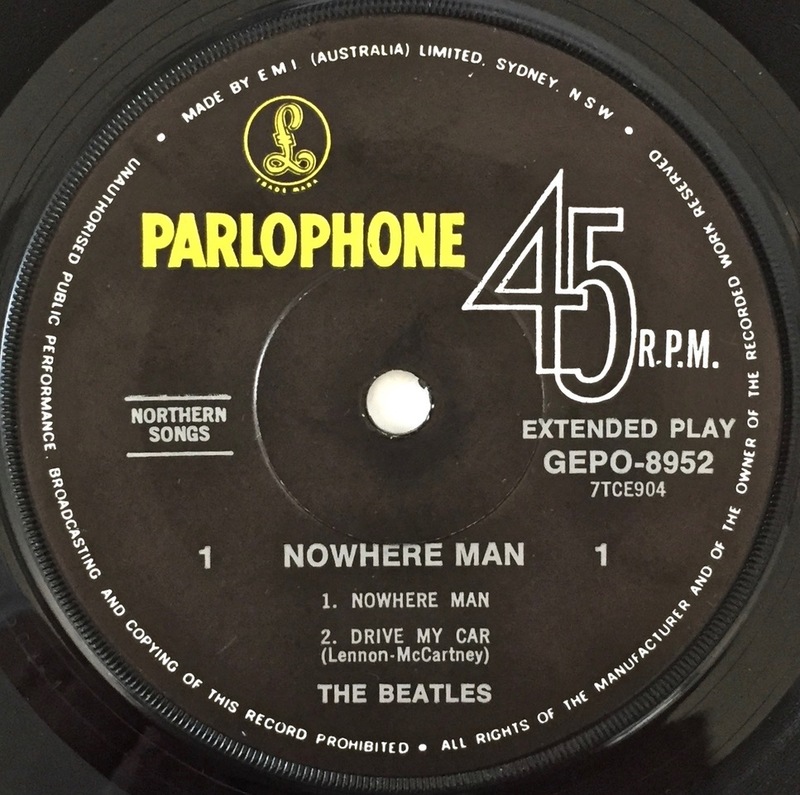 It completes a full set of all the Beatles’ Australian EP releases. 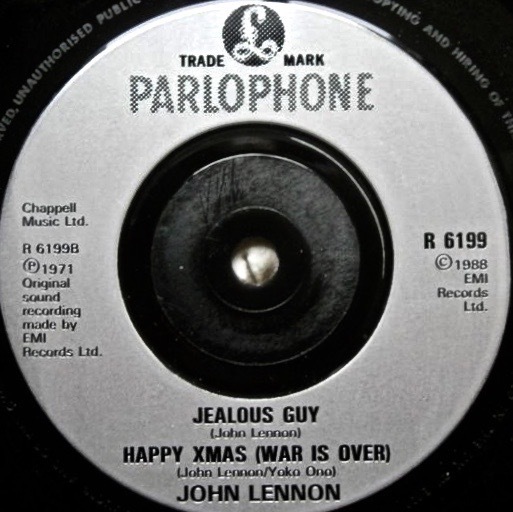 While biding time waiting for the other collector to sift through the stack of 45’s we checked out the books and the small number of Beatle albums on offer. 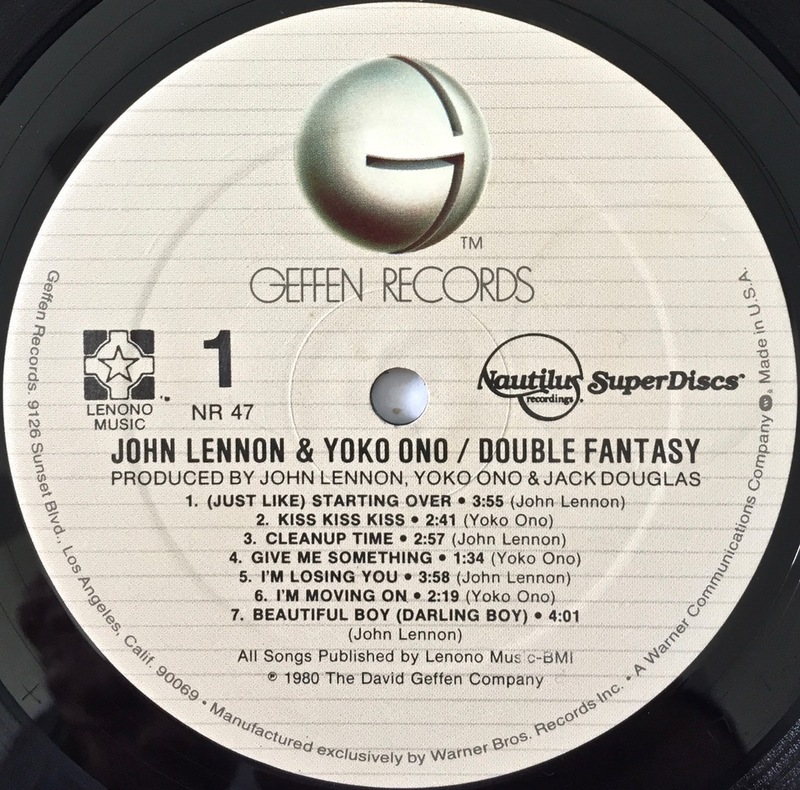 Amongst these was this LP: This is the rarer Half-Speed mastered pressing of the John Lennon/Yoko Ono disc Double Fantasy. 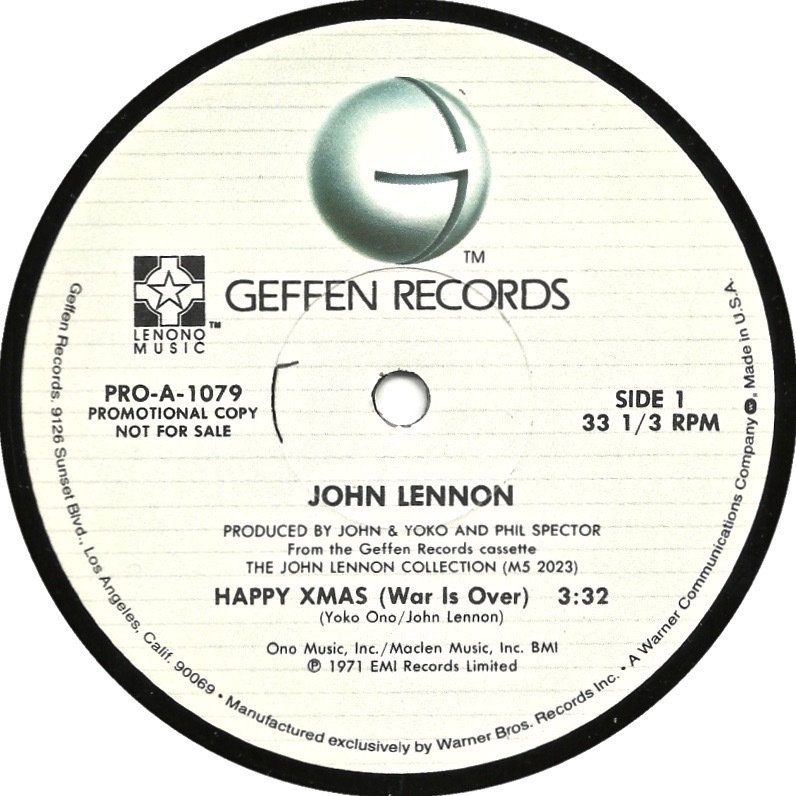 It is on the Geffen/Nautilus Superdisc label and dates from 1982. 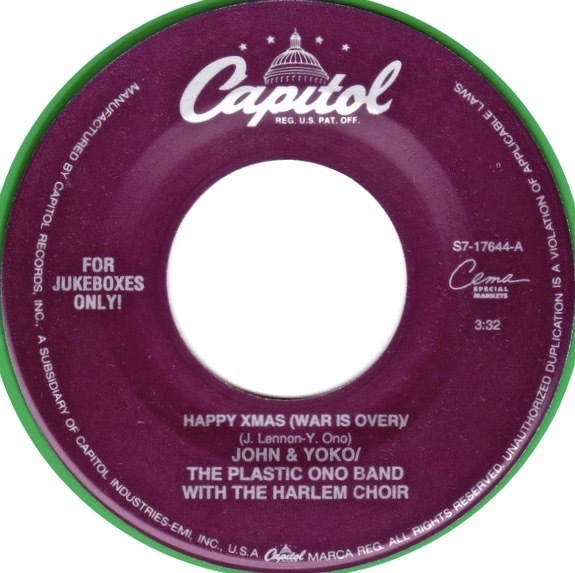 This limited edition release should come with a poster and a lyric sheet insert. 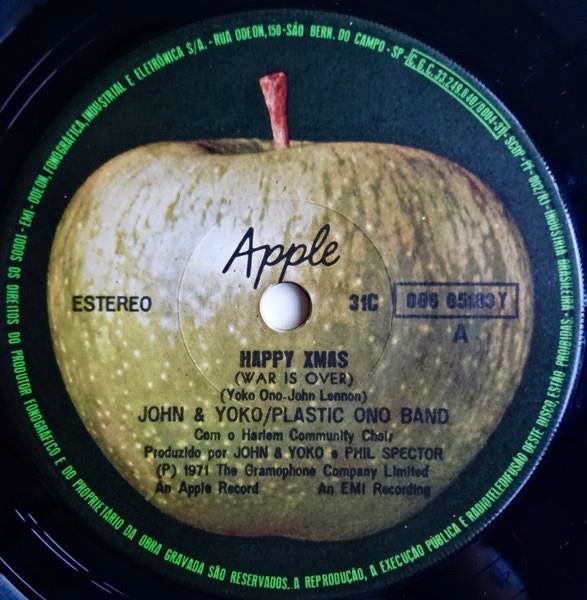 Both these are missing, but it does have the original Nautilus ‘blue disc’ poly inner “Super Sleeve”: So, another strange/unusual find on what turned out to be a pretty good day. 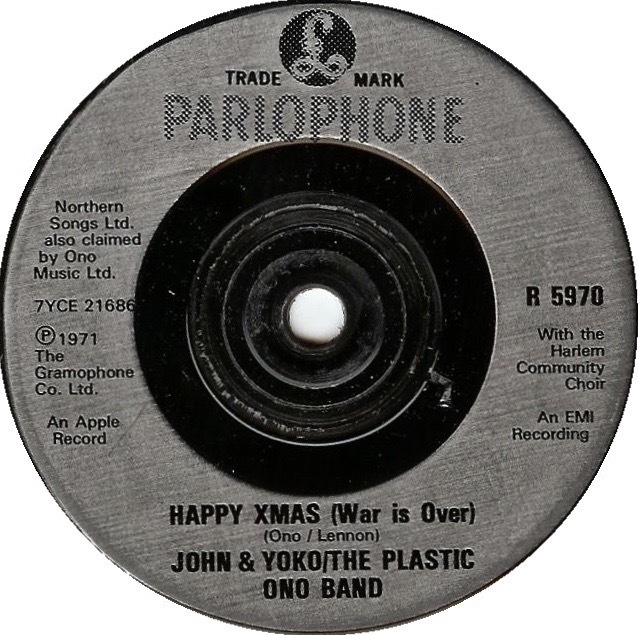 A Christmas theme for the next installment in our occasional Label Variations segment. 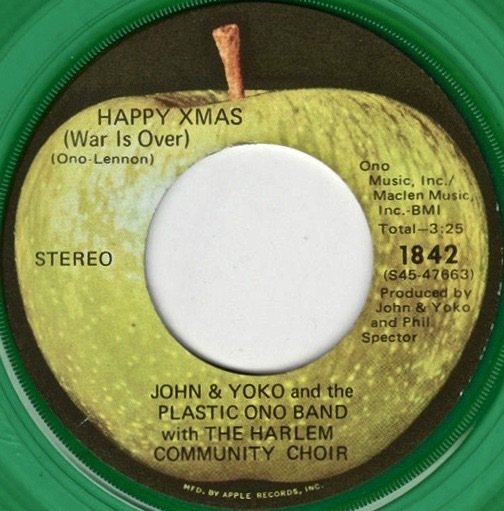 This time it’s John Lennon, Yoko Ono and the Plastic Ono Band, with the Harlem Community Choir and the 1971/1972 song ‘Happy Xmas (War is Over)’. 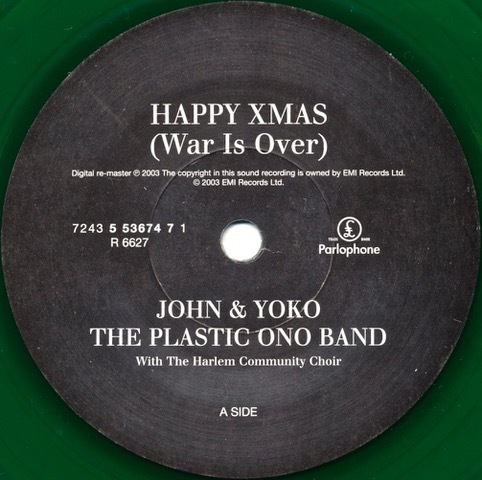 Early versions (and some re-issues) were on green vinyl to suit the season. Please note that not all these are from our collection! 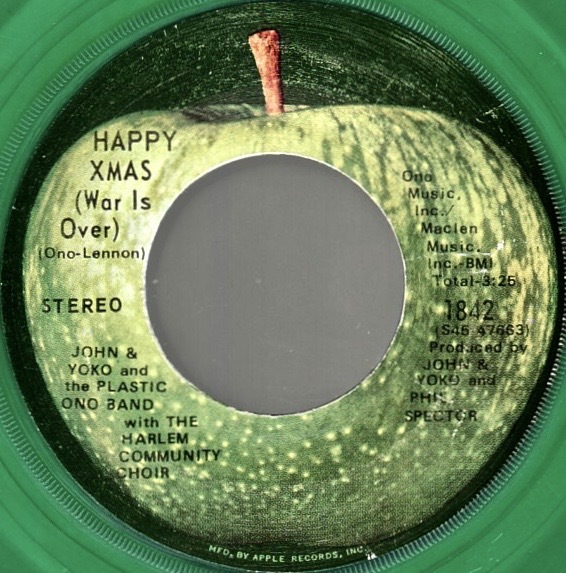 Check out this link to a ‘Happy Xmas (War is Over)’ 40th Anniversary page. 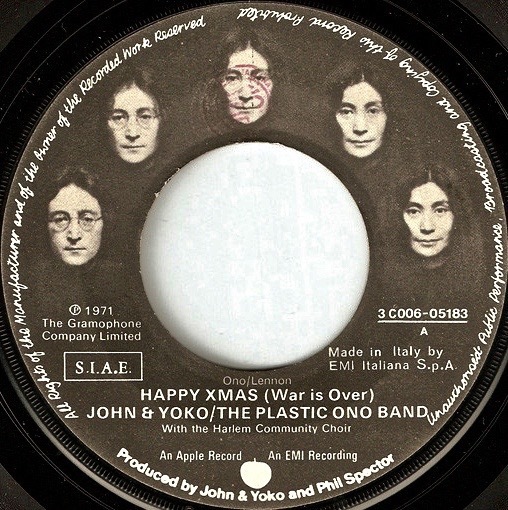 Catch some others in the Label Variations series here. 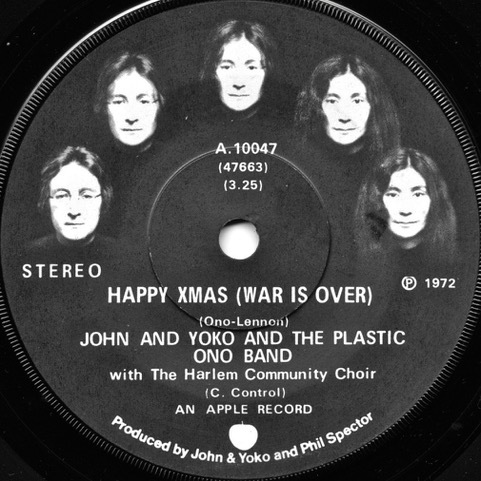 And visit the Imagine Peace (War is Over!) site. 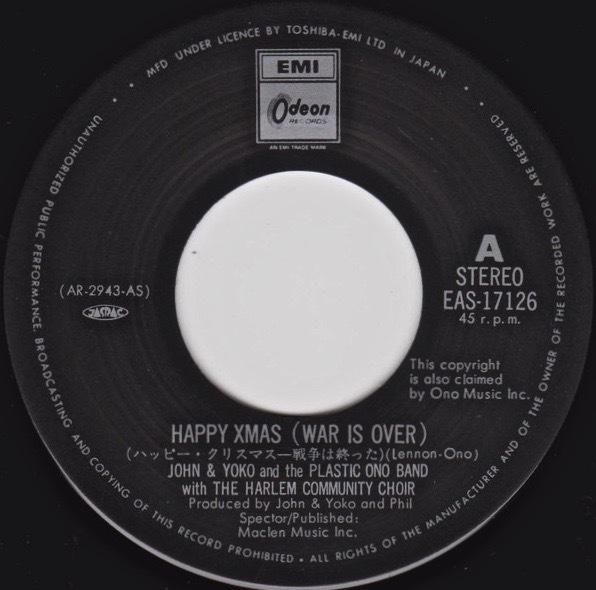 With the holidays upon us, and to celebrate the release of the 2017 remix of Sgt. 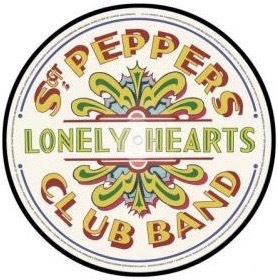 Pepper’s Lonely Hearts Club Band (on 180 gram vinyl) in single LP form – plus the Sgt. 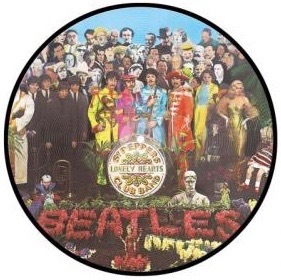 Pepper vinyl picture disc, here are a couple of Pepper-related items for your listening pleasure. 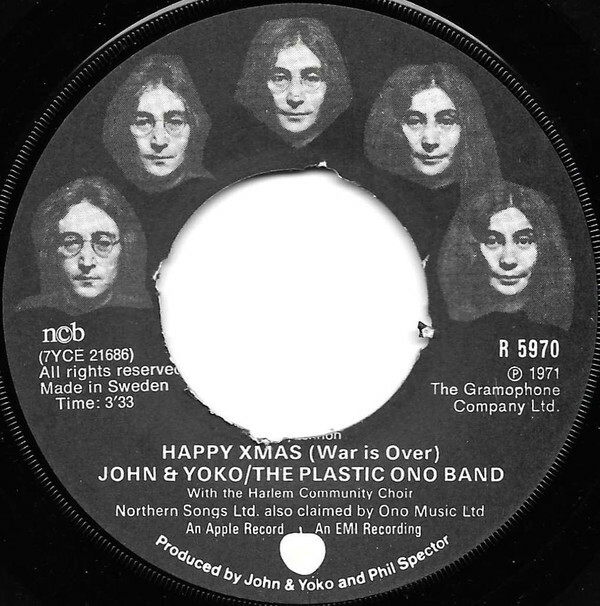 They all come from the Australian Radio National program, The Music Show – hosted by Andrew Ford. 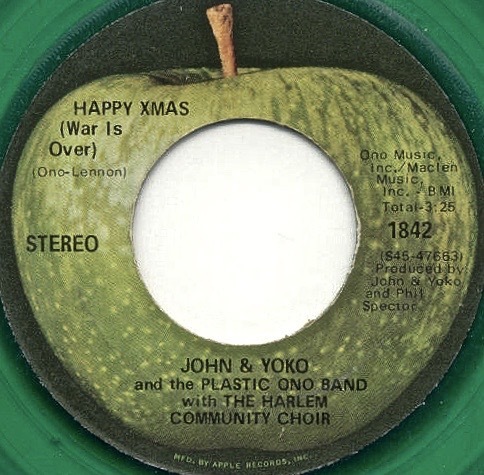 All audio is ex ABC Radio National. Visit The Music Show website for more of their great programs. 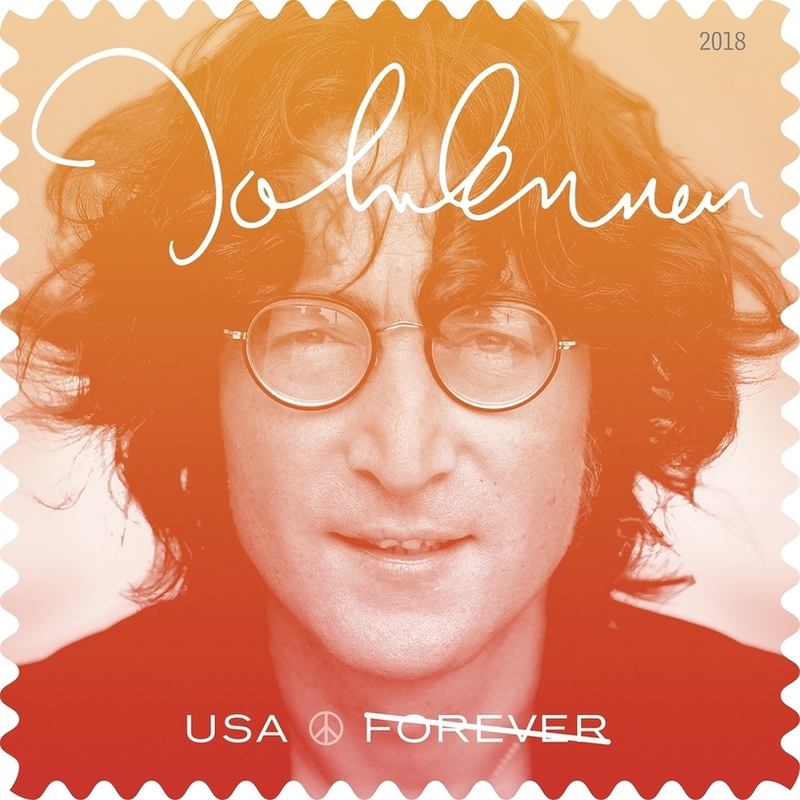 Looks like the US Postal Service is to honour John Lennon in 2018. 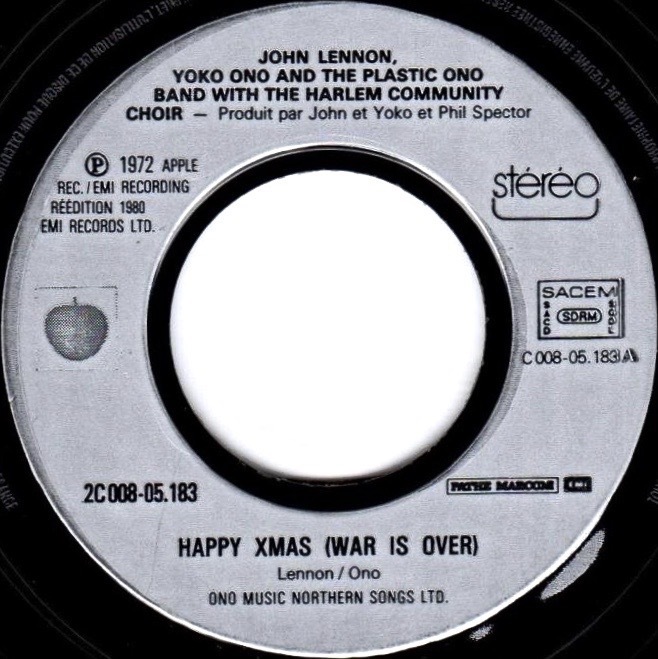 The Postal Service has previously honoured The Beatles as a group on a 1999 postage stamp as part of its Celebrate the Century series. 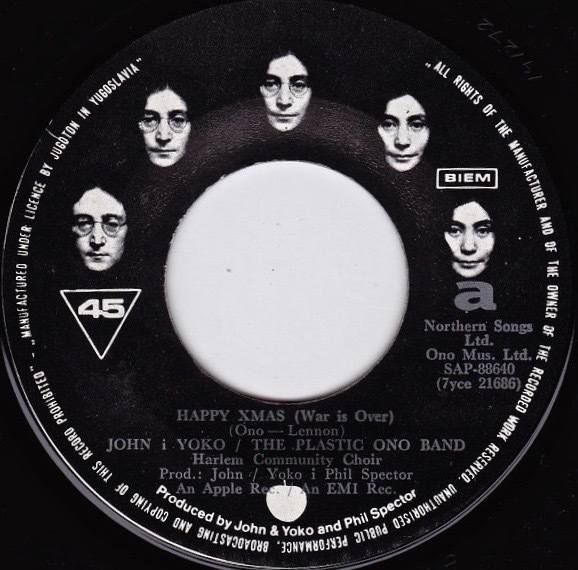 That issue depicted the Yellow Submarine from the animated movie and soundtrack Yellow Submarine. 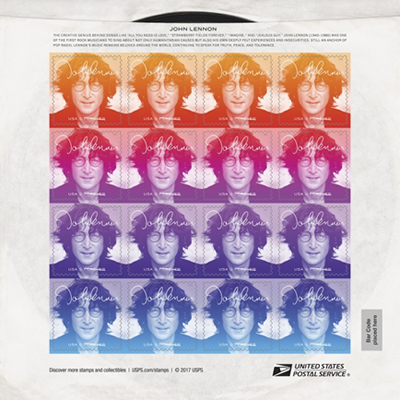 The upcoming Lennon release will be the first to feature an actual likeness of one of the Beatles on a U.S. stamp. 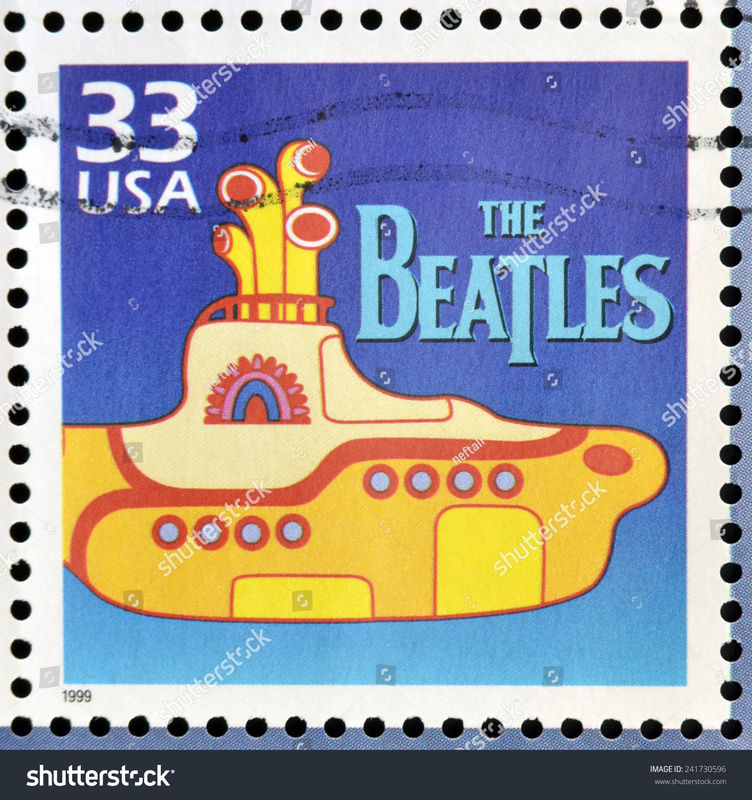 In 2007 Britain’s Royal Mail issued ten different stamps celebrating the importance of The Beatles to Britain and the world. 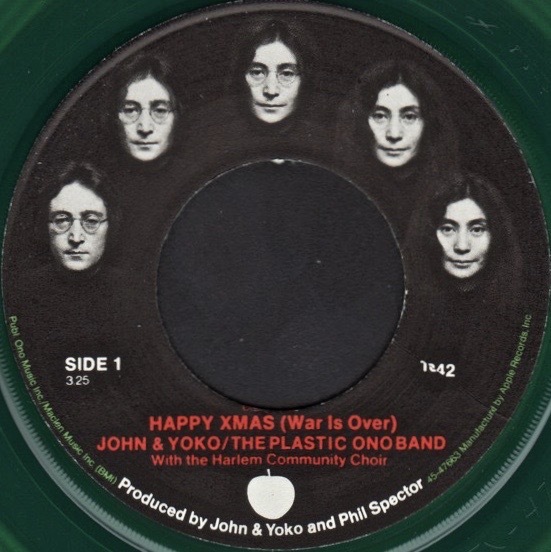 These depicted album covers (With The Beatles; Help! ; Revolver; Sgt. 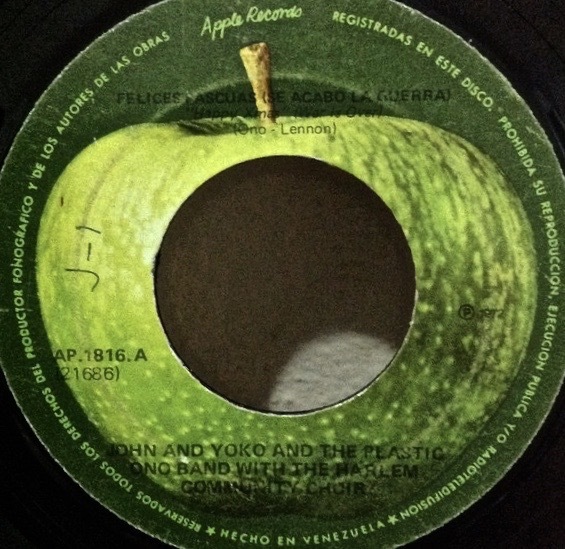 Pepper; Let It Be; and Abbey Road, plus the single ‘Love Me Do’), along with images of Beatle memorabilia. For more detail on those releases click here. 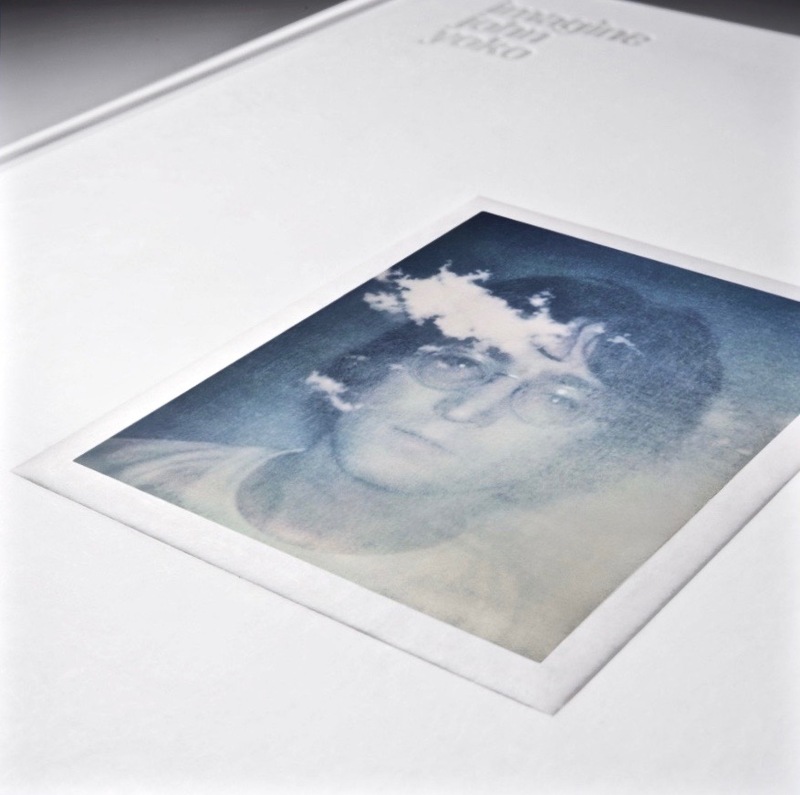 Detailed information and the issue date for the Lennon US Postal Service stamp will be revealed later. The stamp design is preliminary and subject to change until issuance dates.